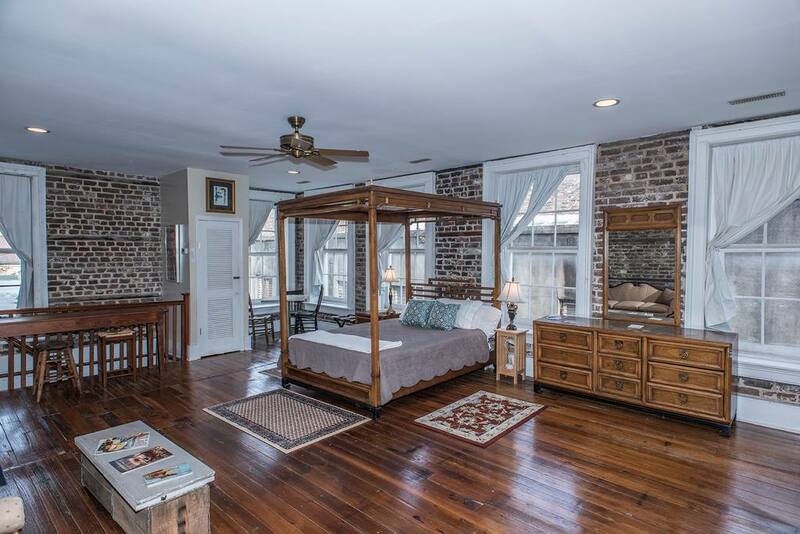 If you’re on the hunt for Airbnb Charleston properties, you’ve made a great decision. 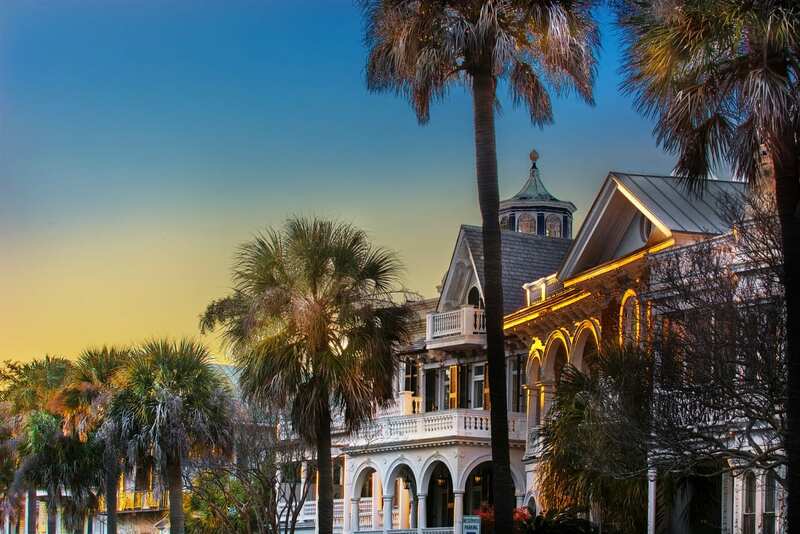 Famous for its Southern charm, rich history and foodie-friendly environment, Charleston SC is warm, friendly and vibrant with a charming array of cobblestone streets, cemeteries, carriage rides and historical buildings. Some of the most impressive private homes in the country can be found in and around this city. Whether you are visiting for business or pleasure, there is always a something to do. Visit the popular Farmers Market, or the Kiawah Island golf resort for a great day out. Charleston was voted number one American city by Conde Nast for several years in a row, so you know it’s gotta be pretty great. 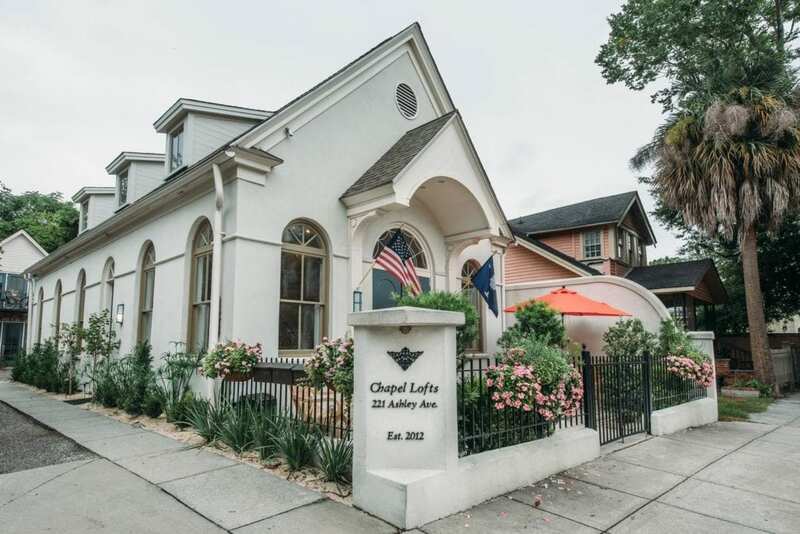 So, if you’re planning a visit to this great city and want somewhere kinda fancy, take a look at some of the below luxury Airbnb Charleston properties we’ve selected for you. 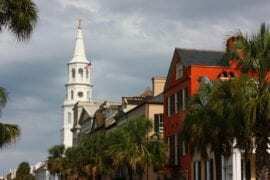 Read more about Charleston’s historic neighborhoods here. 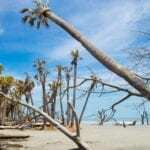 Check out some mid priced Charleston Airbnb properties here. 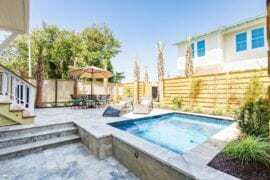 Check out the best Charleston area Airbnbs near beaches here. 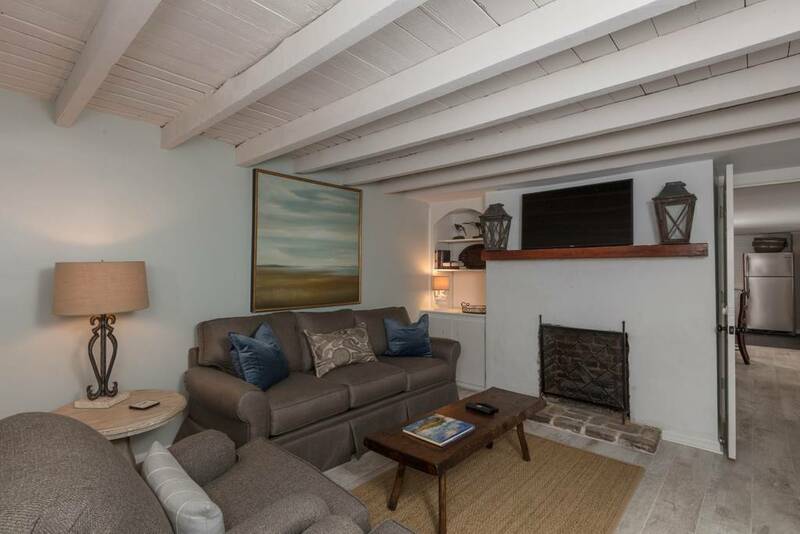 Located in a quiet neighborhood close to downtown Charleston SC and Folly Beach, this property is a sprawling ranch home that sleeps six people, making it a perfect spot for those of you with families, or those of you a decent crew of buddies. 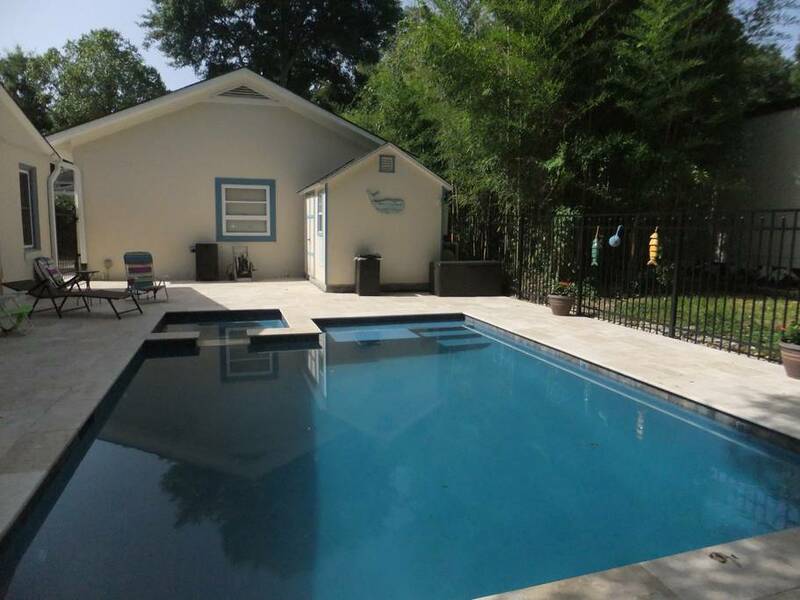 The home is sunny and bright and has a swimming pool and spa for guests to use, which is good fun. If you’re into wildlife, it’s worth noting that you can watch egrets in the nearby marsh from the porch, which is nice and wholesome. Hey hipsters! 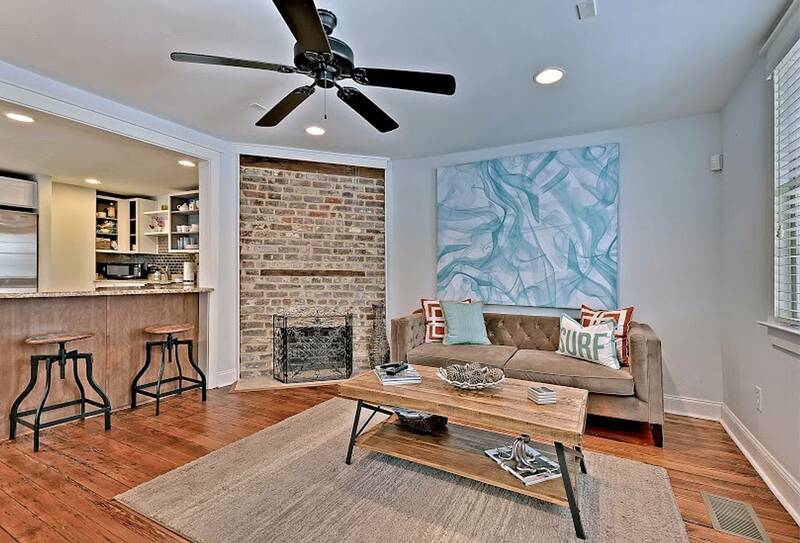 This renovated gem is nestled between the trendy Radcliffe & Elliotborough neighborhoods, so it’s the perfect home base to enjoy all the cool stuff that Charleston has to offer. 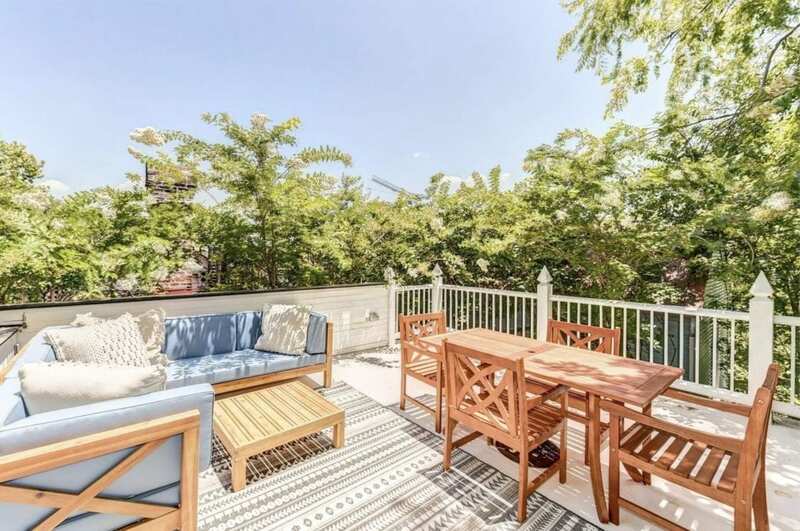 Less than two blocks from renowned King Street, the home is a short walking distance to some of the best dining and shopping in the city. This place is right in the middle of the fun part of the city: clubs and bars and all that kinda jazz abound around here, so if that’s your thing, this is your spot. That stuff’s all well and good, but check out the four-poster bed! We all know that old-timey sleeping is the best kind of sleeping, and there’s just not enough of it going around anymore. Even the building this place is in was built about 170 years ago, and you don’t get much more old time-y than that! This place is perfect for those of you who want to go on holiday with a whole ton of family, but don’t want to spend all your time with the other members of your family! For a very reasonable $400 a night, you get the use of three – yes, three! – separate houses on one property. Group family holidays are fun but a few hours apart from the in-laws every night is definitely a good call, we think. This place is a slice of genuine Charleston history – it’s 117 years old this year! It was recently renovated but they’ve hung onto cool stuff like the wooden beams, and there’s a four poster bed so you can feel like you’re really in the old times! 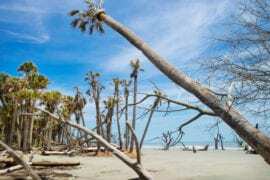 You can find this place in downtown Charleston on a quiet street. Everything you’re gonna need for a fun stay in the city is in easy walking distance. This place is just 300 ft from the entrance of the popular King Street, so you’ll be close to ton of cool shops, bars, and restaurants. 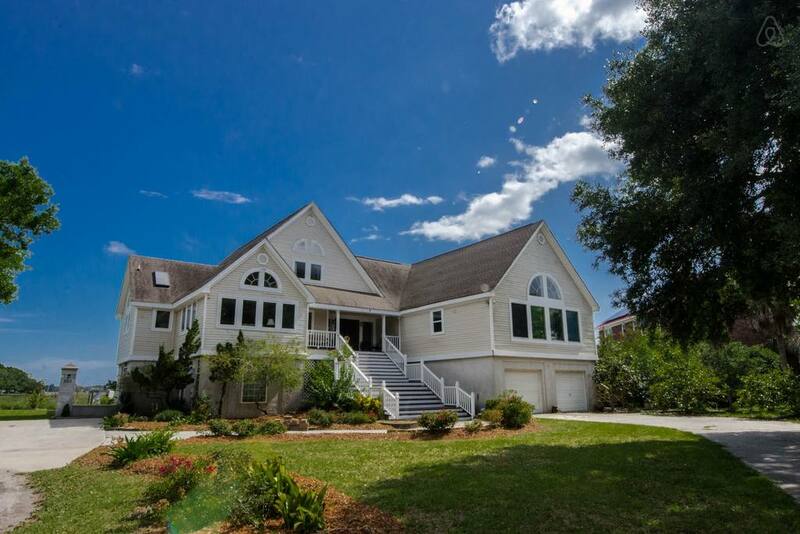 For those of you who want to have your cake but eat it too: this gorgeous house is completely surrounded by nature and good, wholesome nature vibes but is also only 10 minutes from Downtown Charleston. The best of both worlds! There’s a boat dock out the back if you want to bring your boat or if you just want to watch some of the egrets, pelicans and dolphins that are often hanging out in the area. 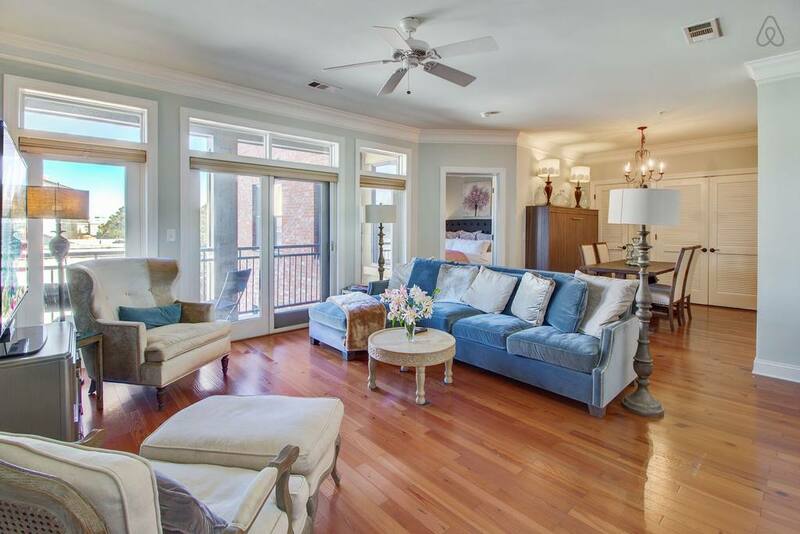 This nice luxury two bedroom condominium is in the heart of downtown Charleston, NC. You get all the mod cons: that cool keypad check-in system that the best Airbnbs seem to have these days, an elevator to the door from the underground parking area and super fancy gourmet kitchen. You’re pretty much on King Street with this place too, and let’s be real: King Street is happening. The best in design, dining, fashion and antiques is can be found there. Sometimes unscrupulous people claim their properties are “right on the beach”, and then you get there, and their properties are a twenty minute drive from the beach! Which is just not cool. 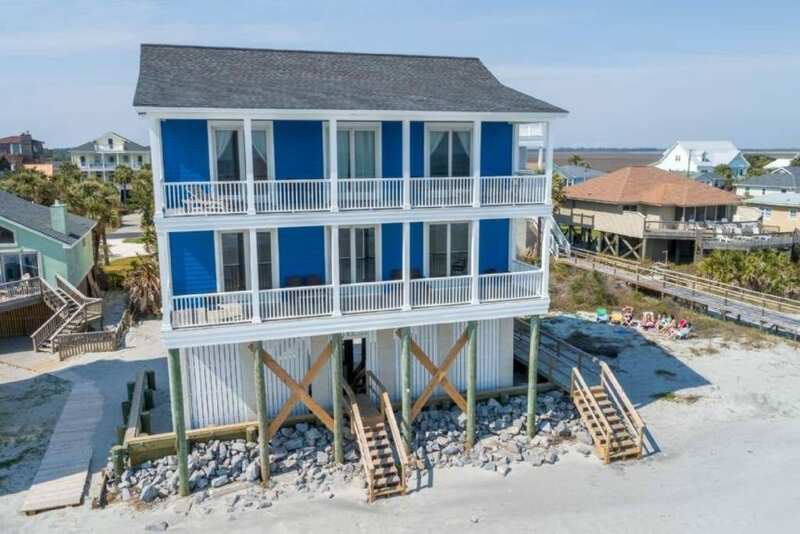 However, this place, known locally as the Double Stack, is quite genuinely right on the beach, the beautiful Folly Beach to be exact. It has not one, but two balconies facing the sea, and the property managers have partnered with VayK Beach Gear to sort $200 credit when you rent any of their stuff during your stay! This place used to be a wedding chapel! How cute is that?! It’s been turned into a 5-bedroom, 4 bathroom home with all mod cons, but it’s retained a load of the original design features that make it uniquely, erm, “chapel-y”. The high ceilings in particular fill the place with light. The owners welcome bachelor and bachelorette parties (which is brave of them) and the place is right in the middle of Downtown Charleston. It’s hard to believe that it’s been ten years since Lonely Island and T Pain dropped On A Boat. 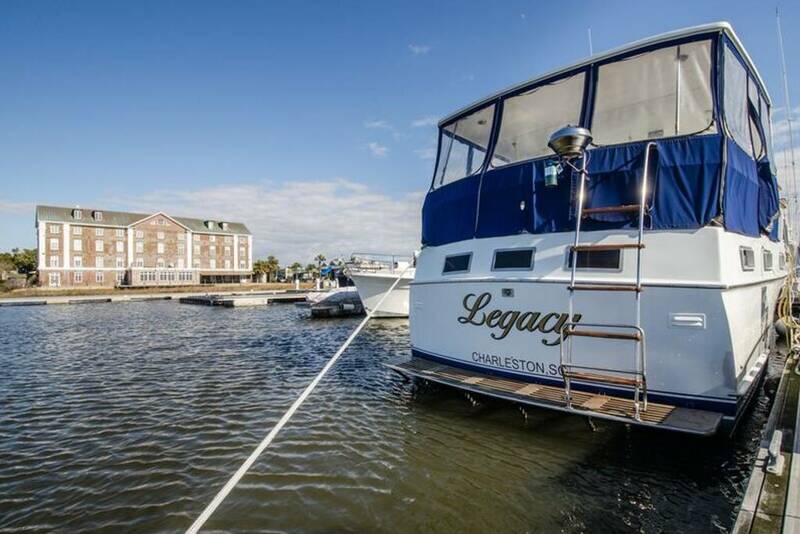 If you fancy a weekend away where you quietly hum that song every time there’s a lull in conversation, this beautiful vintage yacht is waiting for you in the City Marina in Downtown Charleston. Catch some glorious Lowcountry sunsets, wear a fun captain’s hat, call people landlubbers, ask loudly what a poop deck is. There’s a lot of fun to be had!